There are probably a number of officials in European capitals, and perhaps Washington, who have been scratching their heads over the past few days after the Greek government indicated that it would prefer the International Monetary Fund not to be involved in the country’s bailout. If it is any consolation for them, they are in good company. Not only has Greece’s reluctance to ensure the involvement of the strongest advocate for meaningful debt relief baffled observers, it also appears that the Greek government itself is unclear about exactly why it wants to shut out the IMF. The indications from Prime Minister Alexis Tsipras and his camp are that the measures being demanded by the IMF are “unacceptably harsh”, as government spokeswoman Olga Gerovasili put it. It is true that on some issues, the fund is a harder taskmaster than the European lenders. The IMF, for instance, seems less likely to accept a Greek proposal for the sustainability of the pension system to be restored by increases in social security contributions and not through cuts to retirement pay. However, the IMF is also Greece’s greatest ally in the argument for lenders making a significant intervention in the country’s debt rather than just tinkering around the edges. The fiscal and economic benefits of significant debt relief are likely to outweigh the burden of pension cuts. However, the problem for Tsipras is that his immediate political problem is handling the pension reforms without triggering the downfall of his government. The pensions reforms will have to be agreed in the next few weeks, whereas a deal on debt relief could take months: the pain will come long before any potential gain. If there is anything consistent about the Greek prime minister, it is that long-term, or even medium-term, planning is absent from his political quiver. Tsipras aims with only the short-term in mind. This is evident from the way in which he triggered snap elections almost a year ago, from his frantic negotiations with lenders between January and August and his calling of snap elections in September. This short-termism means that if getting over the, albeit considerable, political hurdle in front of him means sidelining the IMF and perhaps doing greater damage in the longer-term, he will have no second thoughts about it. The IMF is also an easy target for Tsipras in the sense that SYRIZA has long been ideologically opposed to its fiscal and economic policies, which it views as being neoliberal to the extreme. In June, in one of his most polemical speeches, the he accused the fund of bearing “criminal liability” for some of the damaging policies implemented during the crisis. This received thunderous applause from the SYRIZA backbenchers. However, even though that was a few months ago, times have changed substantially. In the weeks after Tsipras’s outburst, his government signed an agreement with the lenders in which Greece accepted the role of the IMF as part of the quadriga. In October, Finance Minister Euclid Tsakalotos met with the fund’s managing director at the fringes of the World Bank annual meeting in Lima, Peru, to discuss the current programme. It is doubtful if expressing scepticism about the Washington-based organisation at this stage will lead to any point-scoring for Tsipras within his own party. It may strengthen the image that the government is trying to create of hard negotiations with lenders, which for many Greek voters was a key factor in supporting Tsipras in the September elections despite his grave mistakes in the preceding months. But it is unlikely that this can have an impact on MPs and party members. Tsipras’s and SYRIZA’s idiosyncrasies aside, it should not be forgotten that in doubting the IMF, the prime minister is simply continuing in the footsteps of his predecessors. 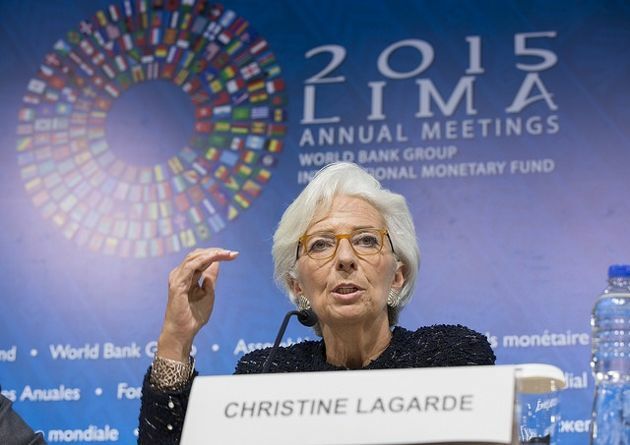 Since the beginning of this crisis, the IMF has been the main target for complaints from Greek decision makers. This has led to it being cast in the role of the bogeyman in much of the local media coverage. George Papandreou, who was prime minister when the first bailout was signed in 2010, had expressed opposition to the IMF’s policies before coming to power and has insisted that he did not want the fund to be part of the programme but was forced to accept its role due to German insistence. Tsipras’s predecessor, Antonis Samaras, mostly attributes his downfall to the IMF’s stubbornness in late 2014. Samaras had been hoping to close the review of the Greek programme before the end of 2014, exit the bailout early and move to a precautionary credit line, albeit with more conditionality. However, seeing his waning appetite for reforms, the troika did not show the kind of flexibility he had hoped in order to conclude the review. Samaras and his team believe that the hard line of the IMF’s representative in the troika, Poul Thomsen, played a key role in stymieing the efforts to finalise the review. Seeing these attempts failing, Samaras vented his frustrations during a speech at the Hellenic-American Chamber of Commerce in early December 2014 – almost a year to day before Tsipras made his comments regarding the fund in his ERT interview. Greece’s love-hate relationship with the IMF has been with us for years and shows no sign of disappearing soon.